Sesame Street is not just a show, but an institution, and like other cultural institutions, it tells us something about the zeitgeist. The above video might be a little annoying and not just a little corny, but it’s also evidence of how deeply the versatility of mobile apps has penetrated our cultural consciousness — despite only 28 percent of U.S. cellphone subscribers owning smartphones so far, according to the latest Neilsen data. It’s one thing when fixie-schlepping hipsters dish dirt about the latest apps, and to be sure, smartphones are largely still the provenance of the well-connected (see Neilsen’s 28 percent figure). But now that even Sesame Street is addressing the mobile app question, can there be any doubt that it’s pogo-ing into the mainstream? In fact, Neilsen’s study supports the supposition that smartphones are migrating from the tech elite to a people who probably don’t read tech blogs, finding that a disproportionate percentage of smartphone owners (41 percent) had purchased their smartphone within the last six months (chart below). Recent smartphone acquirers are driving the market, as opposed to people who jumped onto the smartphone bandwagon early, because statistically, people tend to upgrade their cellphones every 18 months. 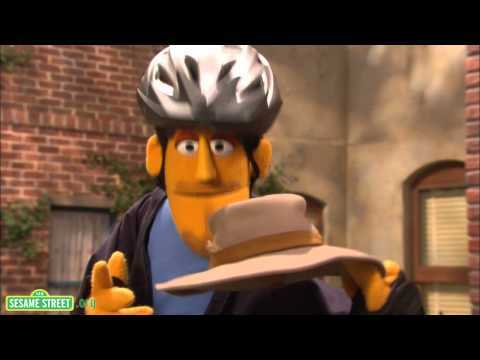 Sesame Street‘s iPogo puppet has Swiss Army knife-like hardware attachments for combing cats, pumping up bike tires, hanging a hat, slicing butter, and so on. But it also includes plenty of real apps or apps that could easily exist, like a rhyming dictionary, videochat with a chimp, a drum machine, a singing tutorial, an automatic counting machine, and a social network where you can meet some kid named Matt. In terms of mainstream cultural impact, mobile apps’ guest appearance on Sesame Street ranks somewhere between being a Daily Show interviewee and the subject of a Weird Al parody. But no matter how you slice it, kids and adults alike seem entranced by the ridiculous range of features that apps can add to consumer hardware.